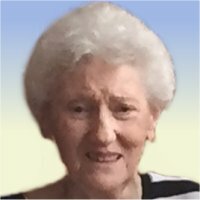 Geraldine Jane Lopez, nee Owca, 81, of Belleville, Illinois, born Wednesday, August 11, 1937, in East St. Louis, IL, passed away Thursday, April 4, 2019 at Caseyville Nursing & Rehabilitation Center in Caseyville, Illinois. Geraldine worked as a retail clerk for Dillards. She was a member of St. Elizabeth Church in Granite City, IL. and also a member of the Polka Club . Visitation: Visitation from 12:00 pm – 1:00 pm, Monday, April 8, 2019 at Kurrus Funeral Home in Belleville, Illinois. Funeral: Funeral Services will be held at 1:00 pm, Monday, April 8, 2019 at Kurrus Funeral Home, with Father Clyde Grogan officiating. Interment will follow at St. Adalbert Cemetery, Fairview Heights, Illinois.